Anyone who follows me on Twitter (@beautyjunkieldn) will know that this week I have been tweeting on about getting my eyebrows threaded. I started off by asking for recommendations for where I should get them done, the general feedback was to try a blinc eyebrow bar, or bliss, or malika. So I was all set to try one of these but then ended up talking to a colleague about it (who has lovely eyebrows by the way) who recommended a salon that is just down the road from where I work, she said they are fantastic for threading and waxing and ridiculously cheap. In the past I have had some dodgy experiences when trying to find a cheaper option for salon treatments, but I have also had some really bad experiences when paying a lot too so it is very hard to generalise if you really do get what you pay for with treatments. In this case the price difference and the personal recommendation really sold it to me. The salon only charge £4 for eye brow threading. Yep, that’s F-O-U-R pounds, your eyes are not deceiving you. I was all prepared to pay around £15 for the same service at the blinc/bliss/malika options, but decided to take a gamble and go for the cheap option. When I looked in the mirror I was amazed by the neat and perfectly shaped eye brows. It’s one of those things where I thought my eye brows were OK but now realise what a huge difference a professional shaping can make. This was AMAZING value and I will definitely be going back on a regular basis to keep them in the same state. For anyone who is wondering, the salon is called Simi’s in West Ealing (http://www.simisbeauty.com/) It’s not a big glamorous salon, but it is fab value for the essentials. Ive been interested in eyebrow threading for quite a while but have never taken the plunge, they do it in debenhams for £10 which is good but always seems to be busy! 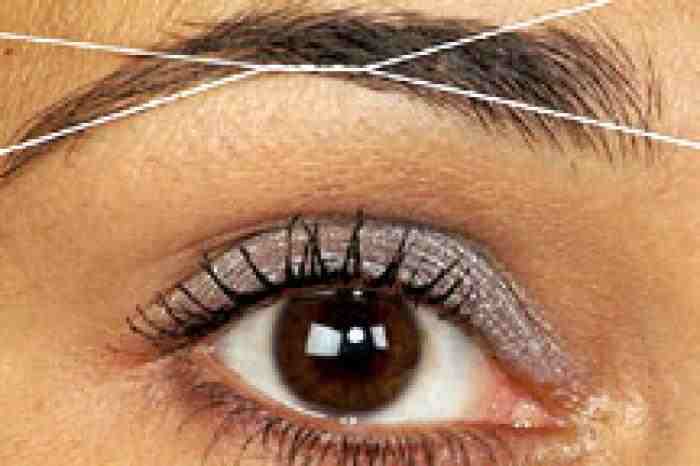 Very good post on threading.